Posted May 10, 2017 by The Editors . We are excited to announce the upcoming premier of a documentary called American Visionary about our beloved CIW Co-Chair Barbara Marx Hubbard and her life’s work at Illuminate Film Festival, where she will also receive a special award. Also, watch the epilogue to American Visionary that Barbara recorded very recently, where she talks about the new phase of her life that has just started. She says that in this new life phase, in her quest for what we can do to shift this world from devolution to evolution, she isn’t working alone any longer. She has joined Dr. Marc Gafni and the Center for Integral Wisdom in a series of seminal projects. The main project is called: The Planetary Mission: To Connect Co-Creators World-Wide on the Internet. It is hosted by the Sunrise Ranch in Loveland, Colorado. The Office for the Future at the United Nations as well as at local and regional levels. The Great Library in Collaboration with Dr. Marc Gafni, Dr. Zak Stein, Daniel Schmachtenberger & other Thought Leaders to Develop the Books, Teachings, and Teaching Materials which influence the Source Code of Our Culture toward Ethical Evolution. 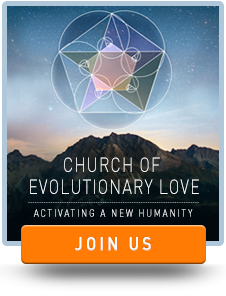 The Planetary Awakening Accelerator, a year-long program together with Lisa Engles and Marc Gafni to accelerate our personal, spiritual, social, and creative potential toward participating in a Planetary Awakening in Love.